All makes/models of new open vent boiler installations in the cambridgeshire area - including - Alpha, Ariston, Baxi, Biasi, Buderus, Ferroli, Firebird, Glow-Worm, Grant, Halstead, Ideal, Keston, Potterton, Ravenheat, Saunier, Duval, Trianco, Turco, Vaillant, Veissmann, Vokera, Warmflow, Worcester & others. Advanced range of high efficiency condensing Open Vent boilers with inbuilt digital programmer and stainless steel heat exchanger available in 12, 15, 18, 24, 30 & 38 kW outputs. The Which? Best Buy award winning Ultracom hxi open vent boiler completes the Ultracom range. Featuring an inbuilt digital programmer, the Ultracom₂provides two channel control for heating and domestic hot water. To activate the digital programmer in an open vent system, simply install with the Options Board for on/off functionality, or the Smart Wiring Centre and Glow-worm Climapro₂RF for advanced control. All available as accessories. Note: The Ultracom hxi's inbuilt digital controls can be activated as required by fitting an options board or Smart Wiring Centre to the boiler. These must be purchased as an accessory in addition to the boiler. 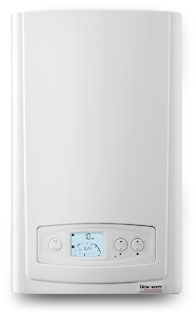 This tried and tested boiler ticks all the boxes for performance and reliability, whilst providing a straightforward solution, and being simple to programme and use. Call for new open vent boiler installations in the Peterborough, Cambridgeshire area.